Sabut Masoor ( Whole Masoor Dal with skin) is packed with proteins. 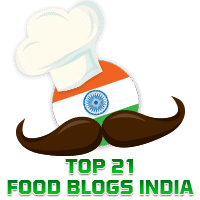 This simple to make dal dish is famous in the State of Uttar Pradesh. 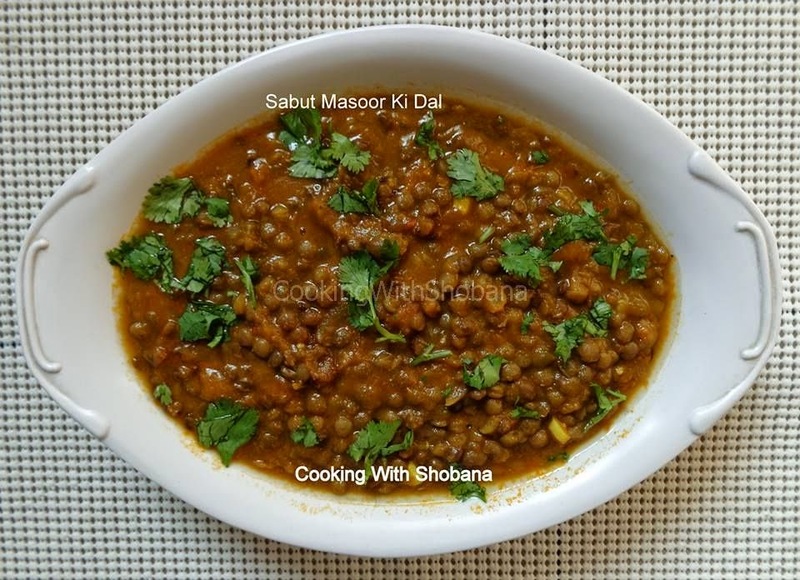 This recipe is adapted from Whole Masoor Dal or Sabut Masoor Ki Dal from a cookery expert whose website I follow, Nisha Madhulika. I used all the ingredients mentioned except baking soda. I also used oil instead of ghee. Lastly, I used both onions and garlic in the variation suggested by her. We had this with rotis and though it is not a spicy dish, it tasted really good. Pressure cook for one whistle, lower the heat and cook for 3-4 minutes more. In a mixer, make a paste of the tomatoes, chillies and ginger. Keep aside.